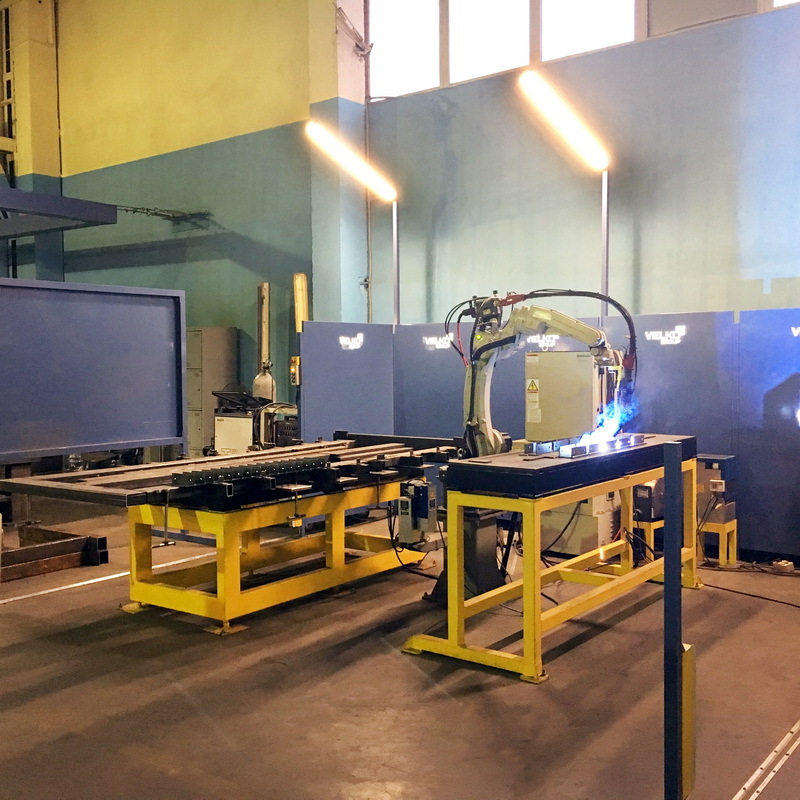 Nowadays the technologies of high-rise construction cannot be ensured without providing production facilities with required equipment and machines capable to process and assemble the façade elements within a short period meeting the best quality performance. 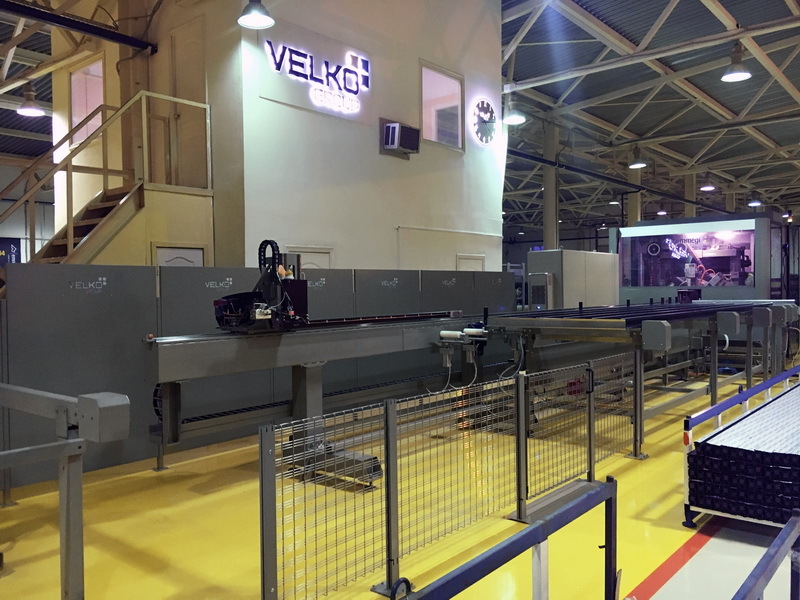 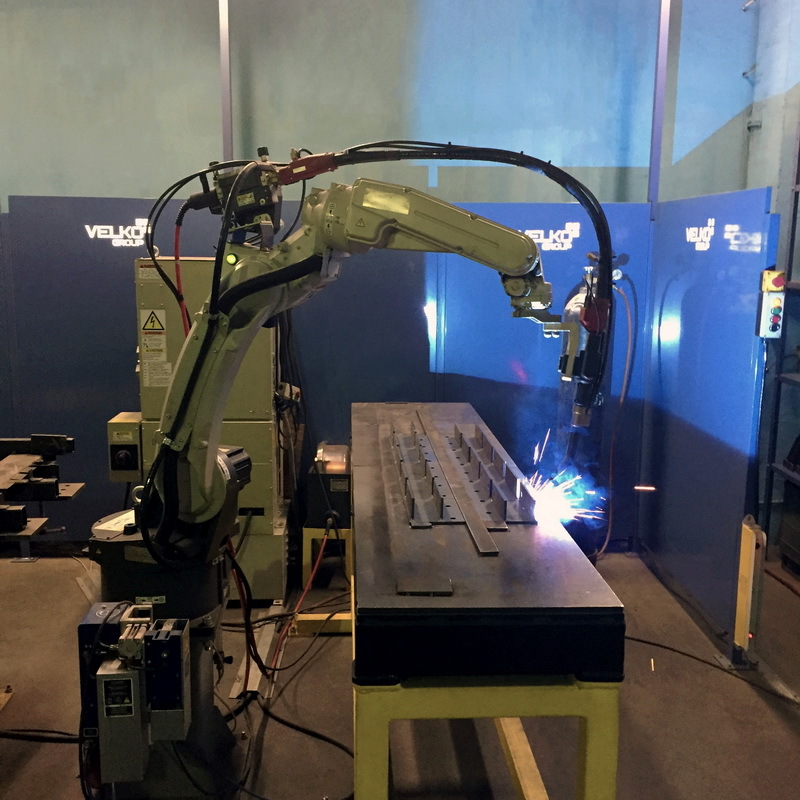 In addition to the equipment listed below, Velko-2000 production shops are outfitted with full range of machines to manufacture the auxiliaries, abutments and details. 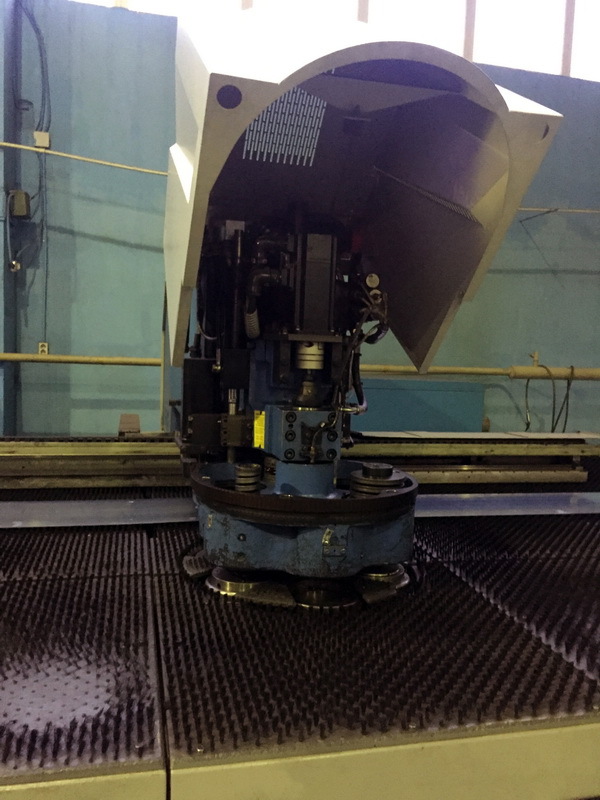 Quadra computerized center is intended for machining the aluminum profile. 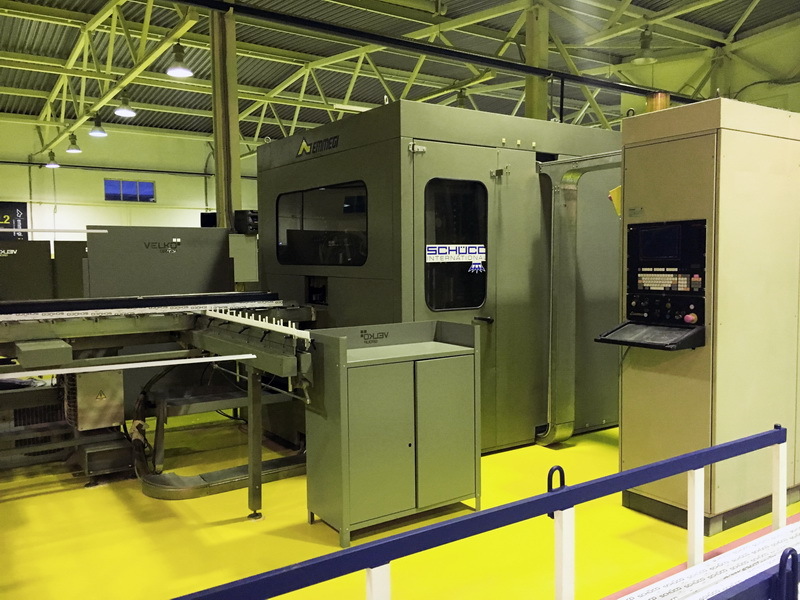 Quadra center has 6 axles of processing and a capacious magazine with the automatic profile feed. 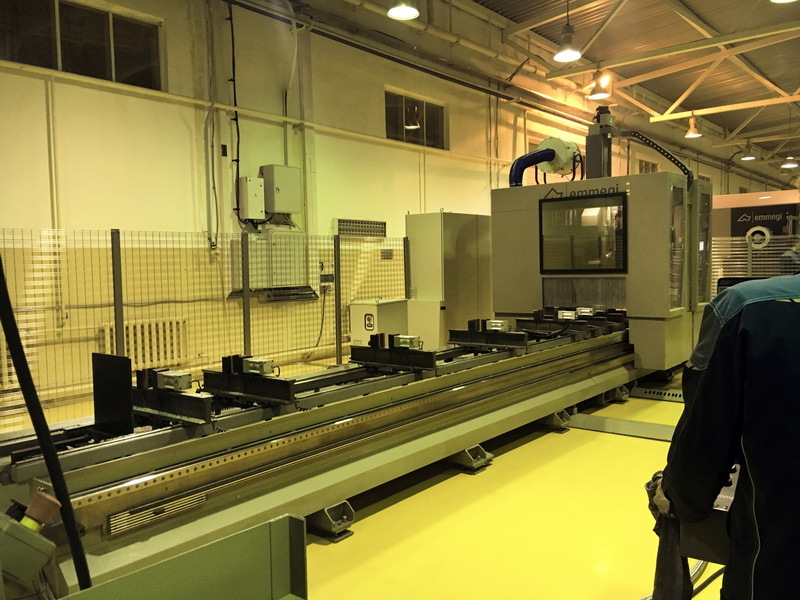 The operations carried out include cutting and processing window/door/mullion-transom profile systems of any complexity. 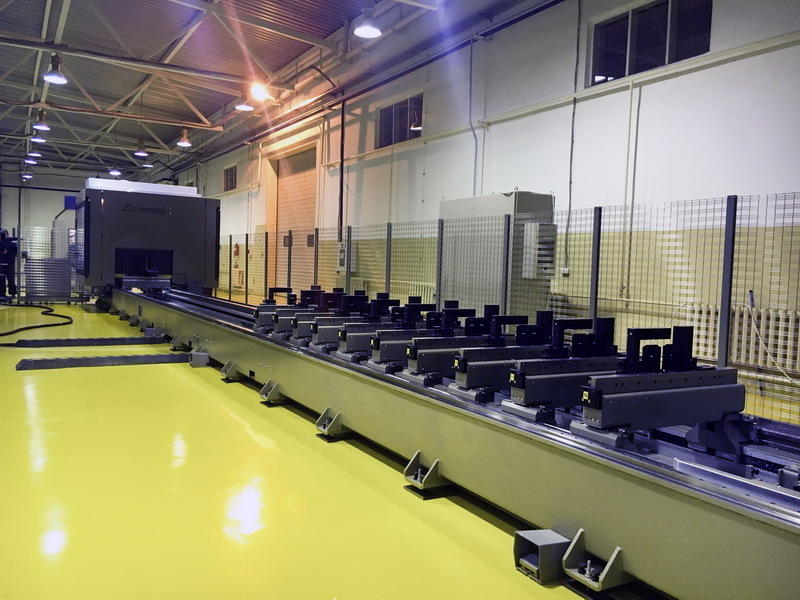 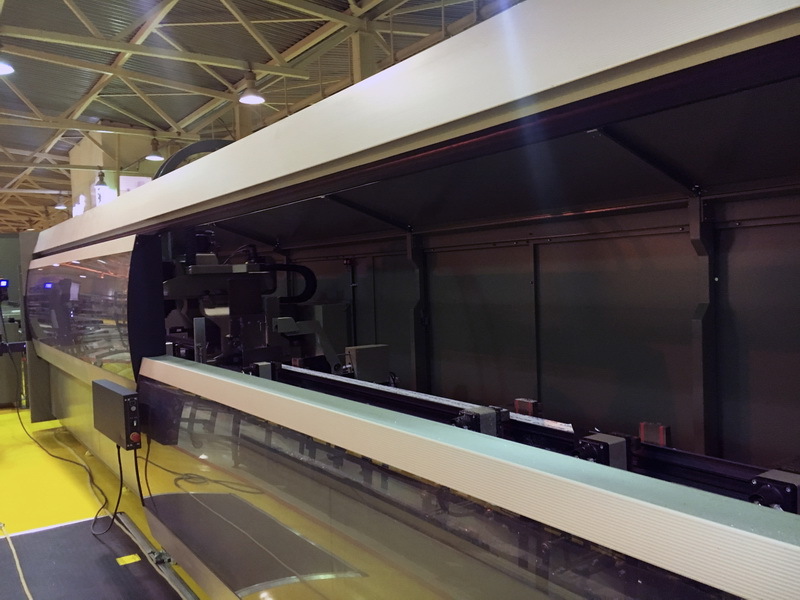 Satellite XL automated center (5 axles) is intended to process both mullion-transom and unitized profile systems as well as window and door systems. 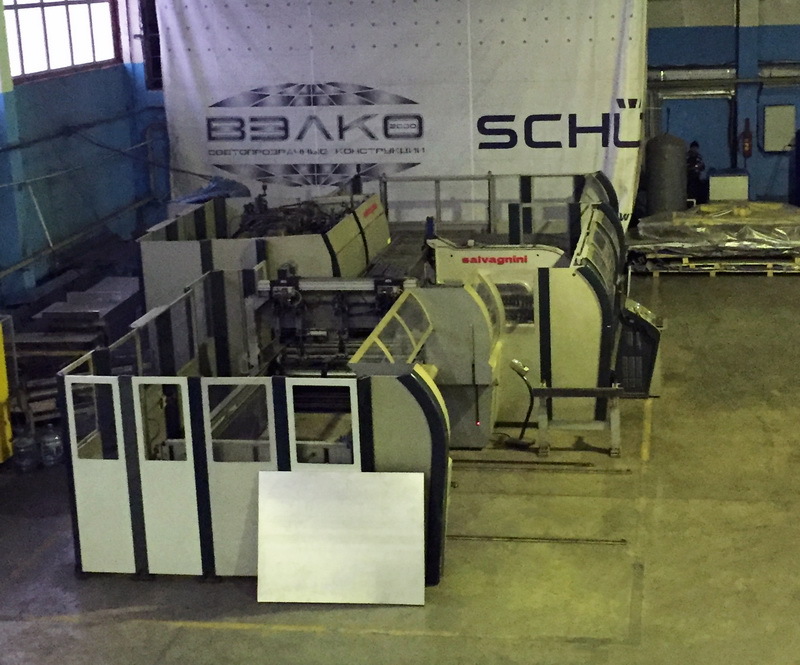 Automated double head saw Combi Assi Star carries out profile cutting from its two sides simultaneously thus raising the productivity twice. 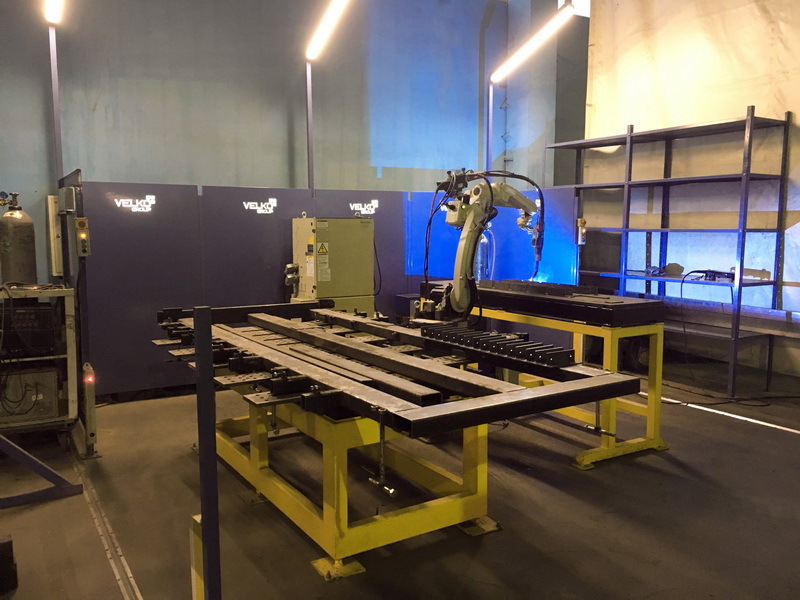 The saw is specifically featured by the ability to cut at dihedral angles, thus making it possible to manufacture most complex multi-plane structures. 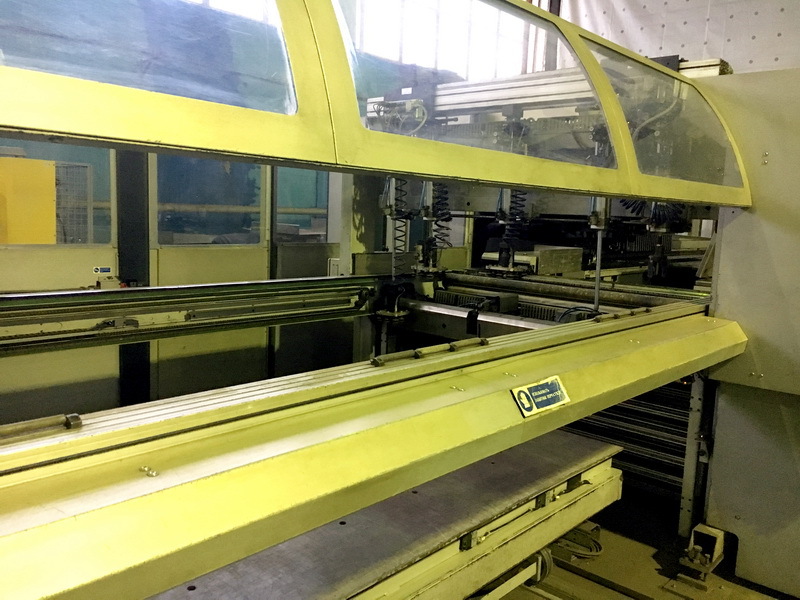 The advantage of the machine for aluminum profile bending is that it can bend profiles for arched window and door systems and curved facades. 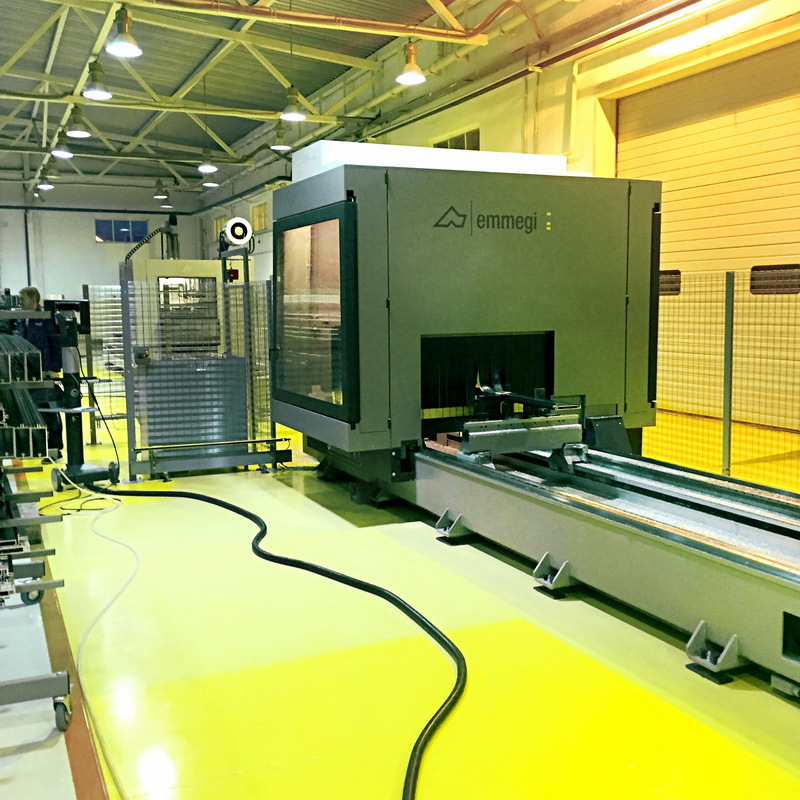 The machine is capable to bend the profile with the section dimensions up to 250x200mm. 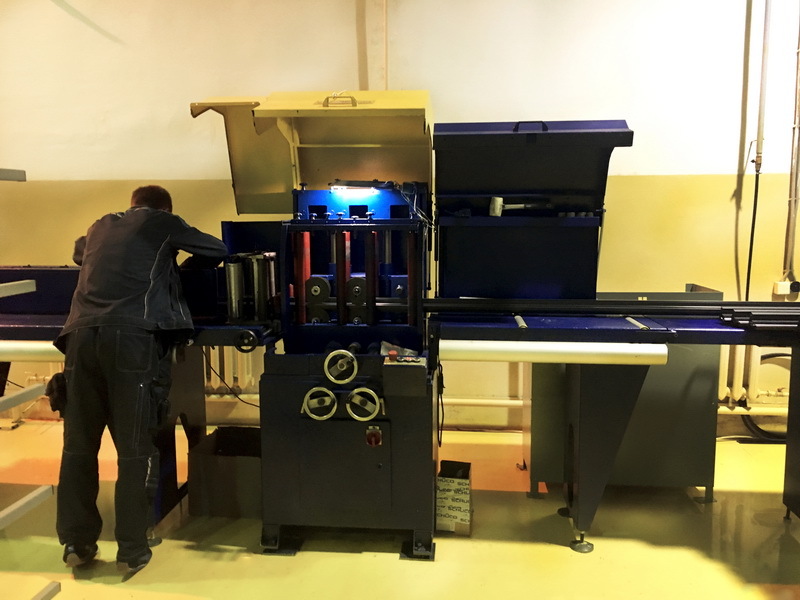 The power-operated profile rolling-up machine assembles the profile elements into one system before its further processing. 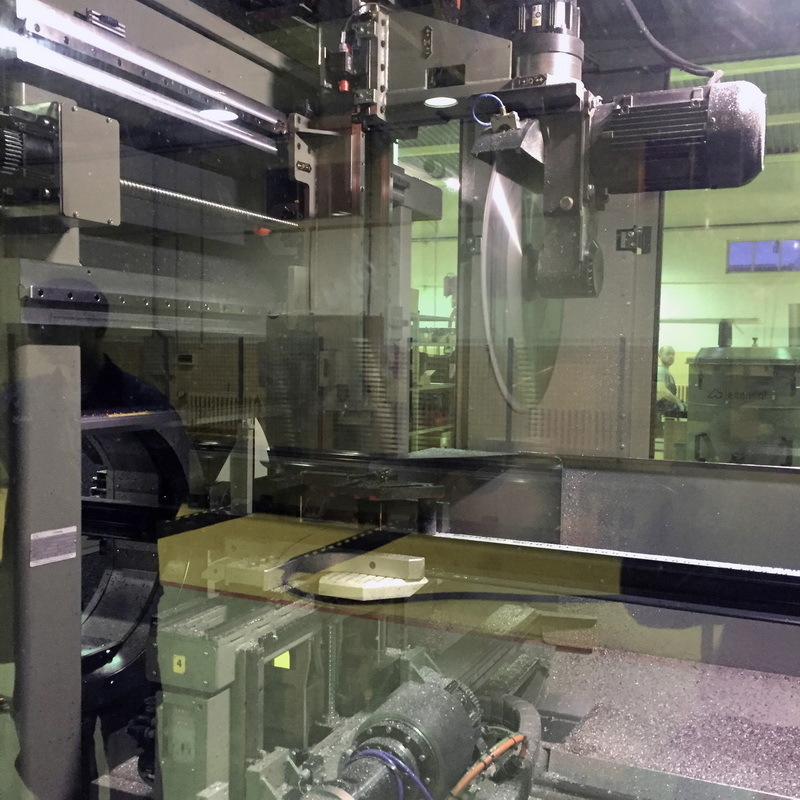 While the rolling-up the profile is being coated with protective film. 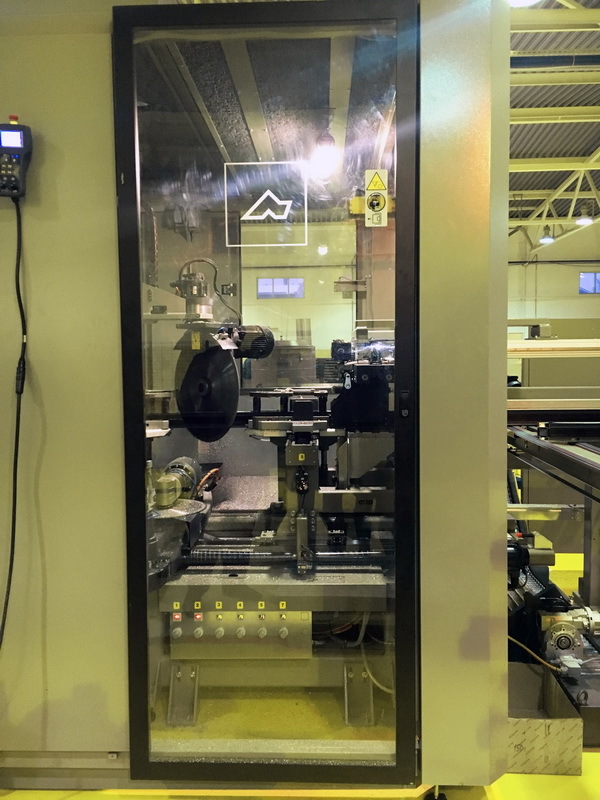 Manual angle press is intended for pressing angles of frame as well as angles of window and door leaves. 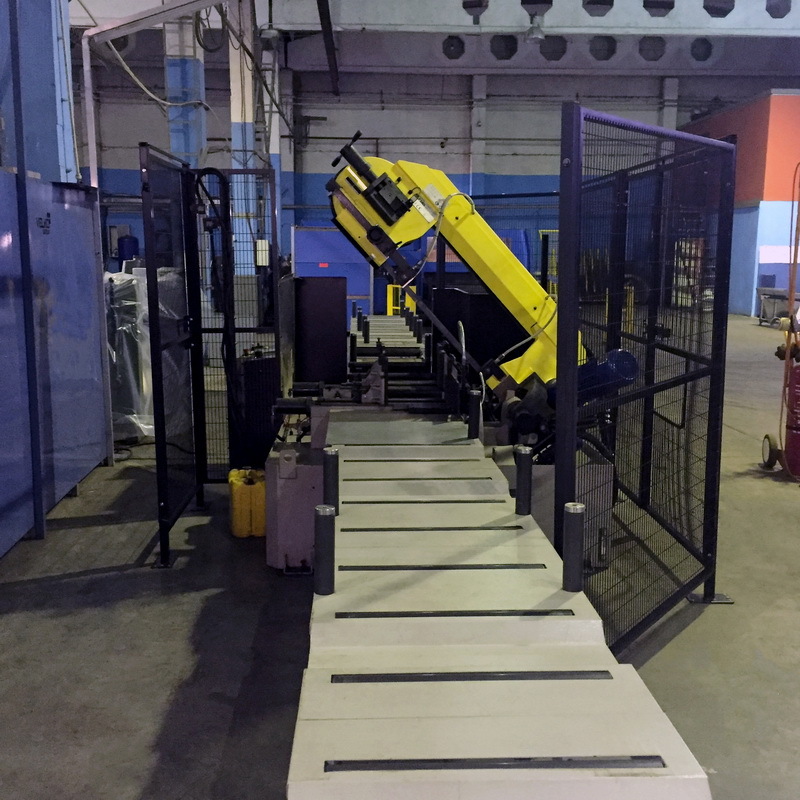 MODULA L 750 represents a completely automated storage module with the 35 ton capacity. 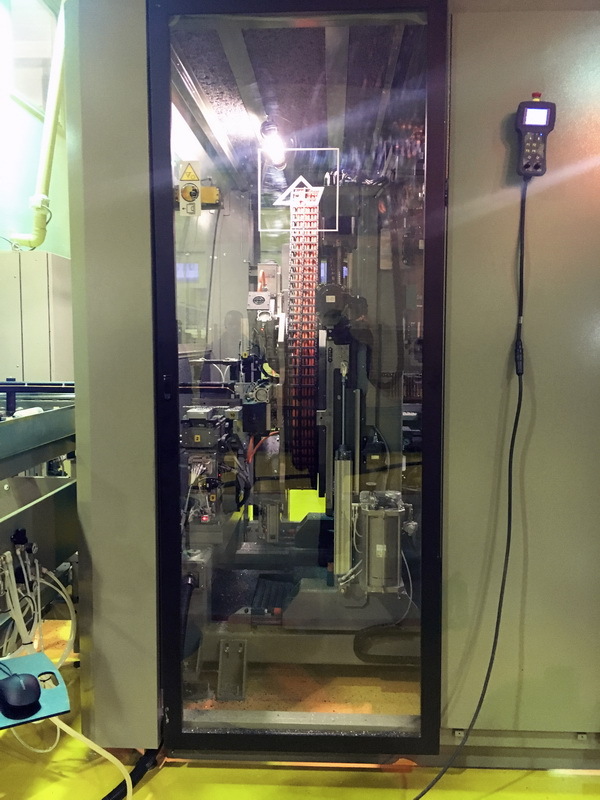 Its main advantage is electronic recording of the profile system elements stored in the module and the vertical arrangement that enables efficient storage of the module at workshop area. 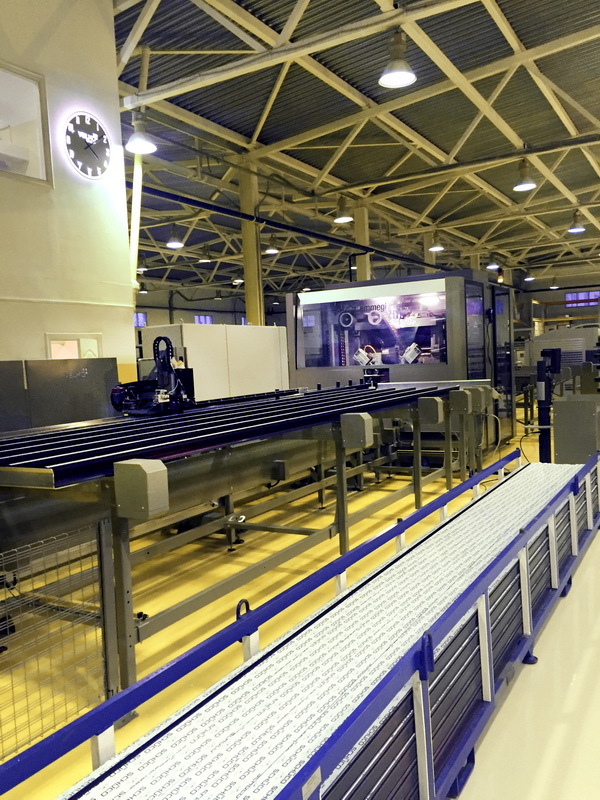 It takes less than a minute to set up the parameters of required elements in the terminal computer, in order to receive them rapidly and start up the processing. 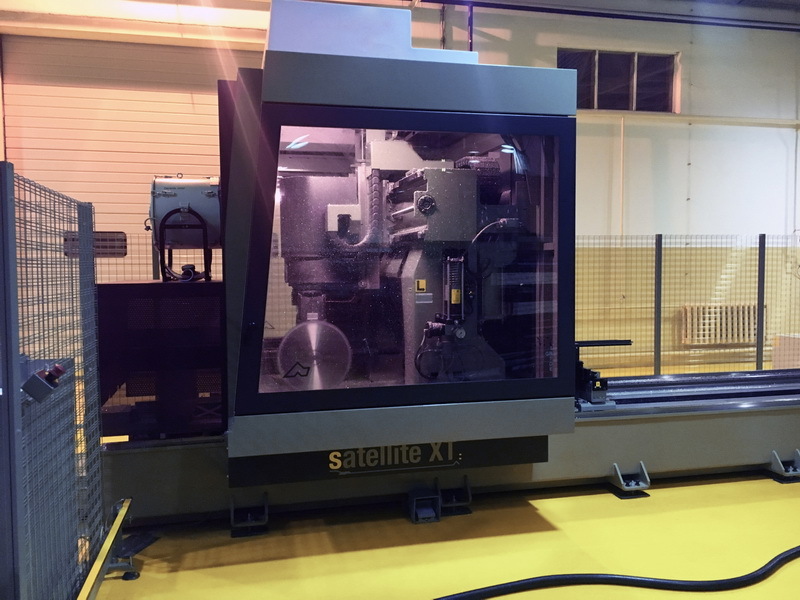 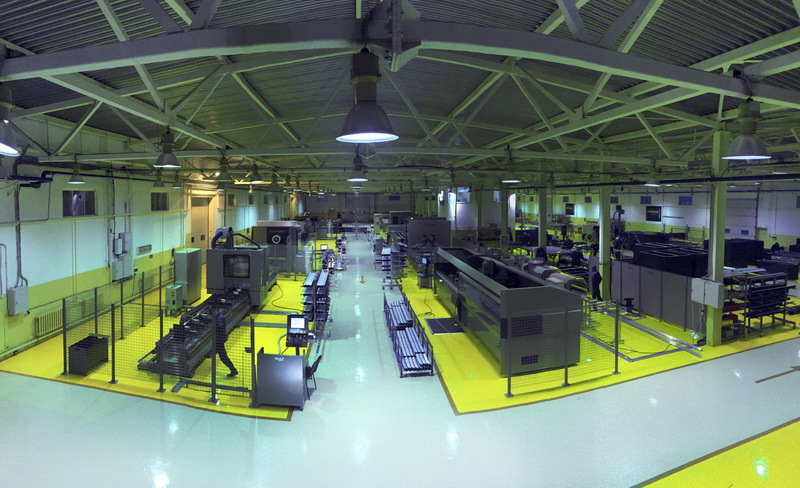 The Planet Center performs the same operations as Satellite XL but with bigger diameter of saw and ability to process steel profile systems. 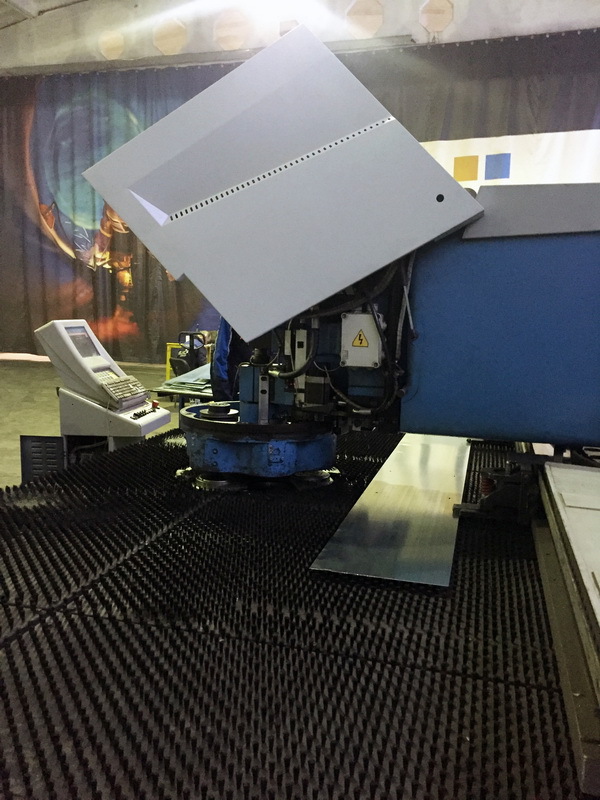 The saw is intended to cut the profile with section length up to 380mm. 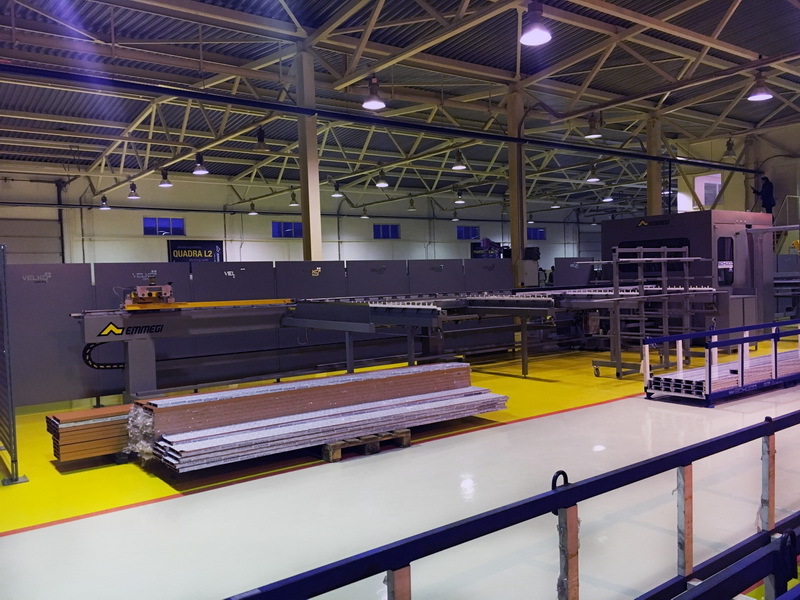 Processes composite panels of Alpolic type and cuts to size aluminium, plastic and polycarbonate elements of any curvature. 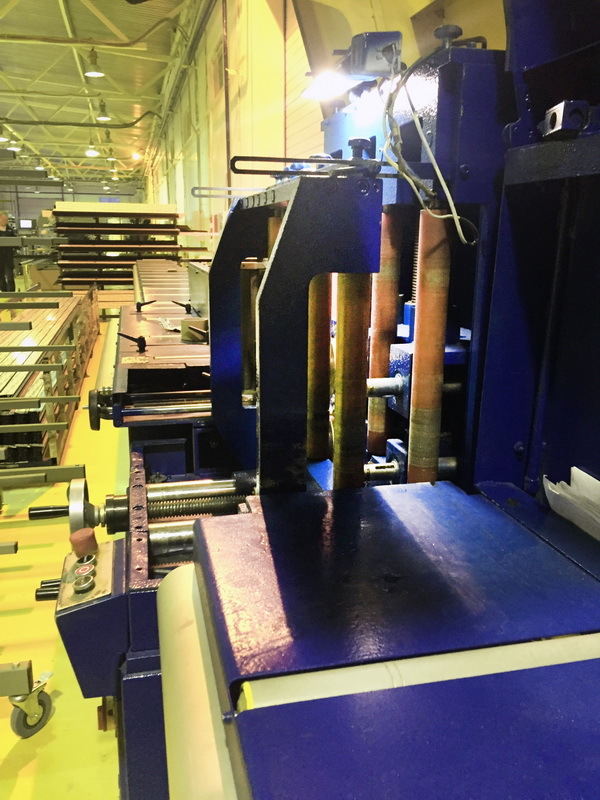 Performs step profile cutting and rapid angle coupler processing for framed structures. 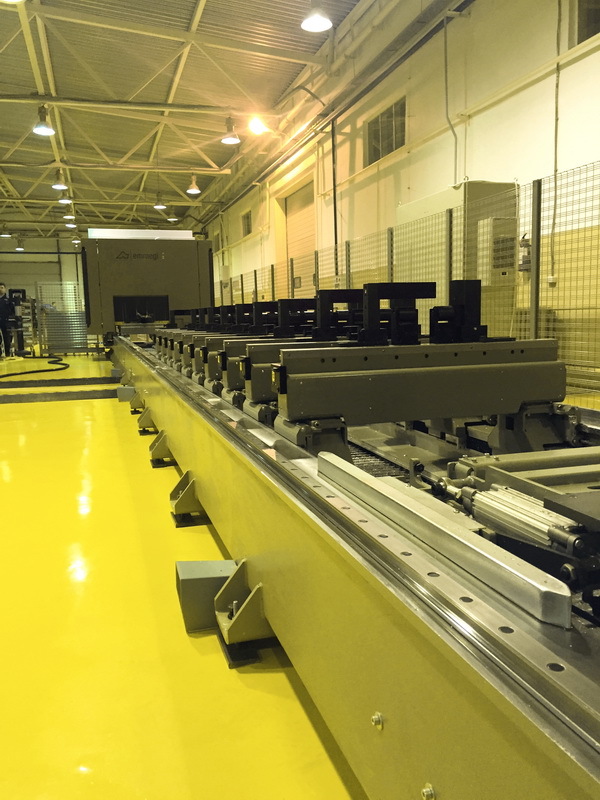 Intended for bending of metal sheet elements as composite façade and door panels. 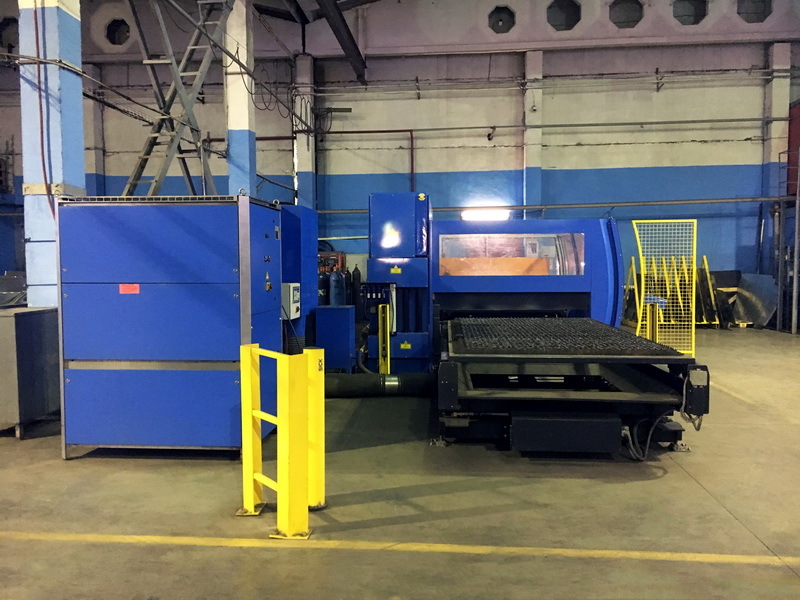 With 3m long plate and 160ton bending effort. 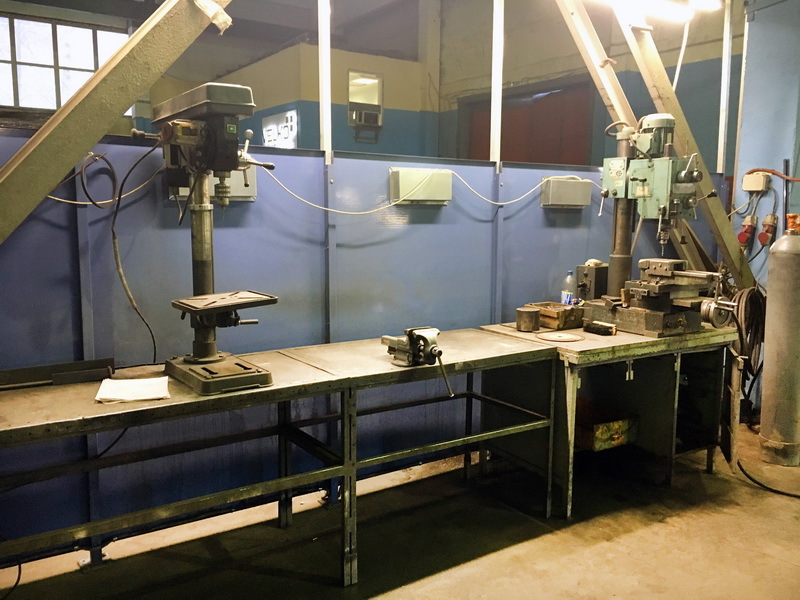 Performs bending of metal abutments, sills and large-size elements. 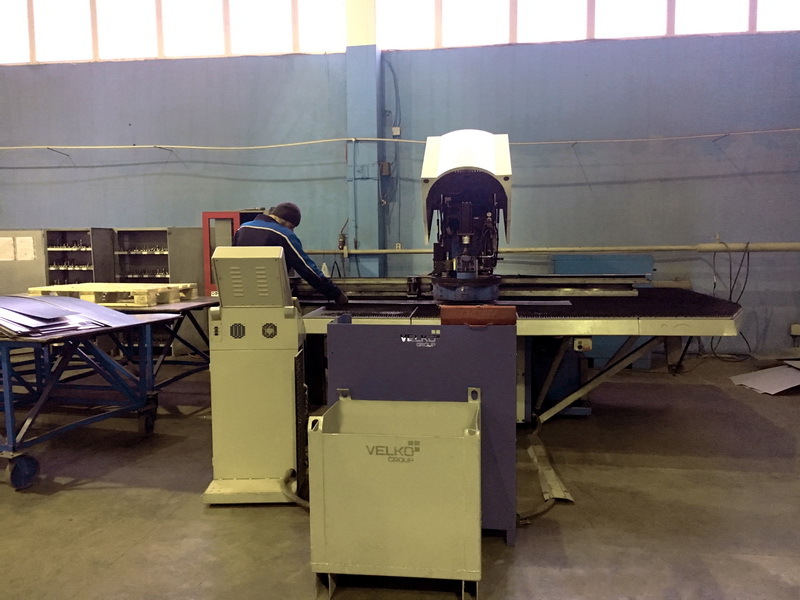 Performs reference punching of metal sheet elements. 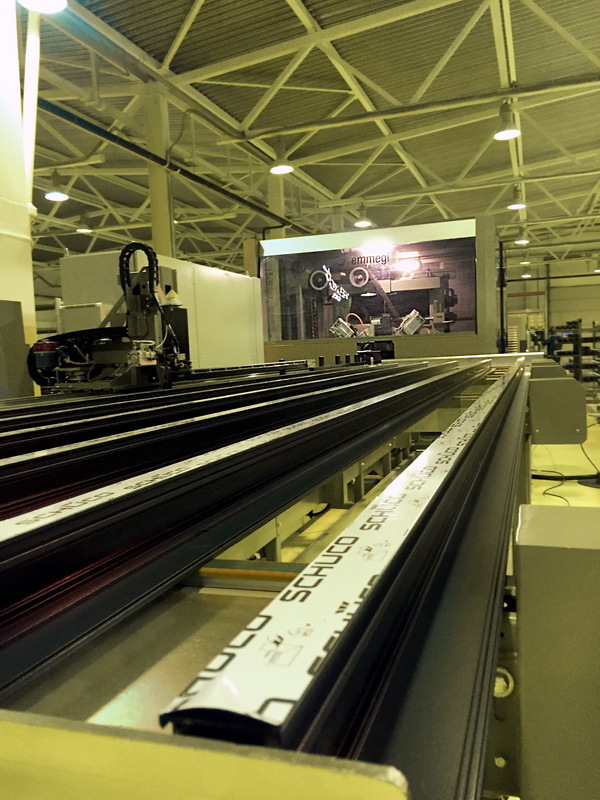 Of 3m width are intended for metal cutting and performs cut-out operations of metal sheet elements. 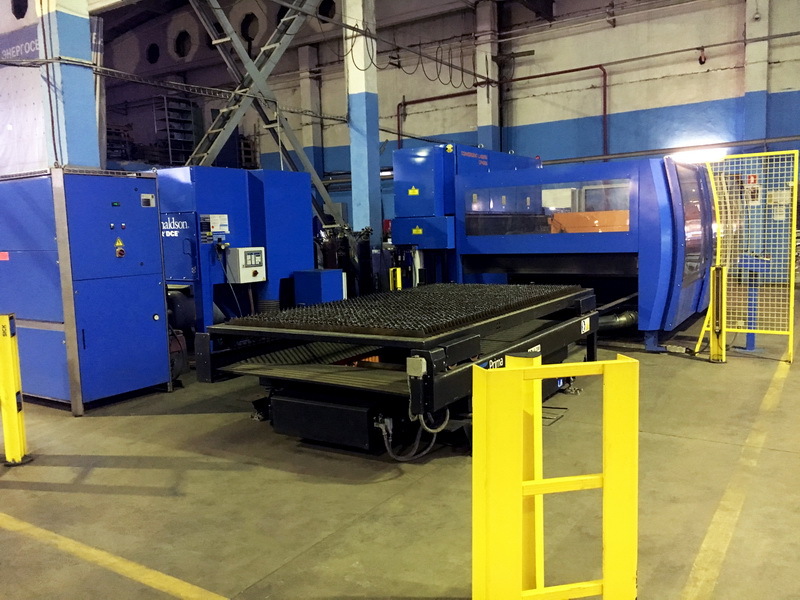 Laser cutting unit with work bed overall dimensions of 3x1,5m is capable to cut 20mm standard steel and up to 15mm stainless steel elements.